With their attractive blooms, available in a range of dazzling colours, our Clematis Plants will look magnificent grown on trellis, pergolas or covering unsightly walls and fences. Our Clematis Plants start from just £9.99 + Free Delivery, Plus Buy 2 Get 1 FREE of the same variety! Our Vegetable Plants are despatching from now until the end of May. Don't forget we offer FREE DELIVERY on EVERYTHING! And we also have a great commission rate offering affiliates 10% on sales. 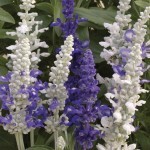 Popular Perennials from just £10.99 + Free Delivery! Popular Perennials from just £10.99 - with Double Up Discounts Available! Perennials are often considered the heart of the garden due to how rewarding they are, year after year, as well as the fact they offer an enormous variety of colours, sizes, habits, fragrances and flowering times. 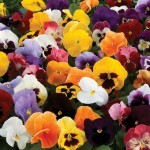 We have many new varieties to choose from as well as all your old favourites. Our Perennial Plants start from just £10.99 + Free Delivery, with Double Up Money Saving Offers available on all varieties! Our Perennial Plants are despatching from now until the end of May. FREE Vegetable Fertiliser - This Weekend Only! Double Up Offers on Many Vegetable Plant Varieties! Novice or expert, growing your own vegetables is not only incredibly easy, but it's also rewarding, tastier, healthier, fun and it's a great way to save money too! Limited on space? Not a problem! Many of our Vegetable plants can be grown in containers - some even in hanging baskets. Our Vegetable Plants start from just £6.99 + Free Delivery, with Double Up Money Saving Offers available on many varieties too! Plus, this weekend only, we are offering a FREE 500ml Vegetable Fertiliser, worth £8.99, with any Vegetable Plant Order. Offer available at checkout between Friday 5th April until Midnight Sunday 7th April 2019. Jersey Royal Potatoes for Easter! 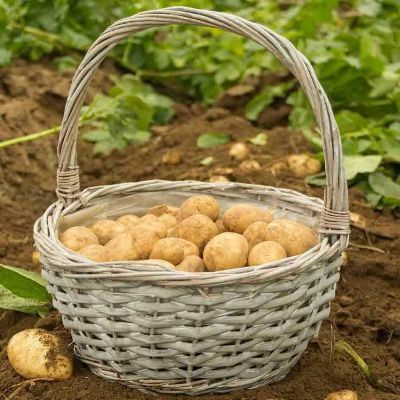 Enjoy the Delicious Taste of Fresh Jersey Royals this Easter! 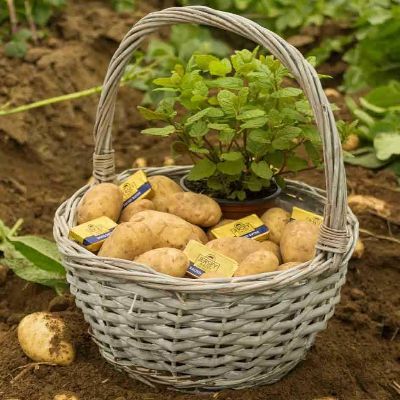 Buy your Easter Jersey Royal Potatoes (4lbs) today for just £14.99 or why not add some Jersey Grown Mint & Jersey Butter for just £3 more? Delivered in the week before Good Friday ensuring freshness for the Easter weekend. Take a look at our range of Soft Fruit Plants from just £7.99 + FREE Delivery and you could be growing your own crop of healthy fruits, fresh from the garden or patio. Plus, If you Buy 1 you get 1 of the same variety for HALF PRICE! 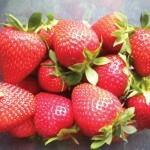 Our Soft Fruit Plants are despatching until the end of April. FREE Gift this Weekend Only! To take advantage of this amazing offer, simply order any of our 170 Plug Plants from just 11p each and add your FREE Widger at checkout. Hurry though! This offer is only available from Friday 8th March 2019 until Midnight Sunday 10th March 2019. Best Sellers - Don't Miss Out! 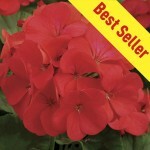 Geranium Fire Queen 170 Plug Plants just £17.99 - that's just 11p each! 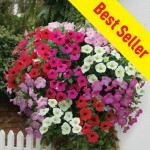 Petunia Grand Prix 170 Plug Plants just £17.99 - that's just 11p each! 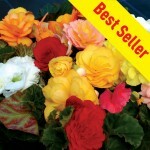 Begonia Sparkle 170 Plug Plants just £17.99 - that's just 11p each! 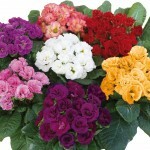 Impatiens Imara 170 Plug Plants just £17.99 - that's just 11p each! Bacopa Snowtopia & Bluetopia Mix 170 Plug Plants just £18.99 - that's just 12p each! 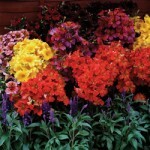 Mimulus Masterpiece 170 Plug Plants just £18.99 - that's just 12p each! Plug Plants Despatching Now from just 11p each! Spring is Here & We Are Starting to Despatch our Plug Plants! Order your Small Plugs today from just 11p each and be next in line to receive your Plugs earlier in the season. Our Plug Plants will be despatching from now until the end of April. 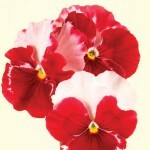 Geranium Parade 170 Plug Plants just £17.99 - that's just 11p each! 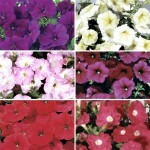 Petunia Bolero 170 Plug Plants just £17.99 - that's just 11p each! 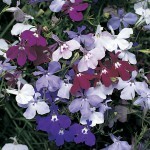 Lobelia Royal Blue 170 Plug Plants just £18.99 - that's just 12p each! Busy Lizzie Summer Waterfall 170 Plug Plants just £17.99 - that's just 11p each! 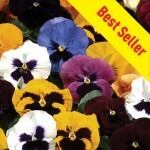 Pansy Grande Fragrance 170 Plug Plants just £17.99 - that's just 11p each! 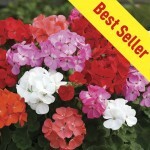 Verbena Glory Days 170 Plug Plants just £18.99 - that's just 11p each! This week, we have two fabulous offers for you to promote! 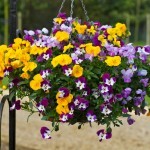 Get 6 FREE Premium Jumbo Bedding Plants worth £10, When You Purchase 1 or 2 Pre-Planted Hanging Baskets! For a limited time only, we are offering you the chance to get 6 FREE Surprise Premium Jumbo Bedding Plants worth over £10, when you purchase either 1 or 2 Pre-Planted Hanging Baskets. Your FREE Surprise Plants will be chosen at random from all your Summer flowering favourites including Fuchsias, Petunias, Geraniums, Osteospermums and more. To take advantage of this offer, simply add any of our 1 or 2 Pre-Planted Hanging Baskets to your basket and add your 6 Free Surprise Premium Bedding Plants at checkout. This offer is only available from Thursday 14th February until Midnight Friday 15th February 2019. For a limited time only, we are offering you the chance to get a FREE Box of Surprise Bedding Plants of the Same Size, worth at least £11.99, when you purchase any of our 170 Plug Plants, 70 Ready Plants, 24 Jumbo Plants or 12 Mega Plants. 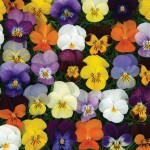 Please note, you can add 1 FREE surprise Tray of plants for each box of Bedding Plants on your order. To take advantage of this offer, simply add any of our 170, 70, 24 or 12 Bedding Plants to your basket and add your FREE surprise Bedding Plants at checkout. This offer is only available from Friday 15th February until Midnight Monday 18th February 2019. 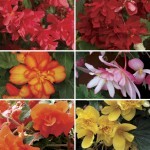 Amazing Value Begonia Plants Offer! 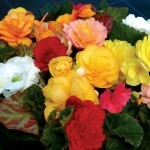 We have an exciting, new Begonia Plant Offer for you! Begonia Illuminations is a cascading F1 variety of Begonia bearing masses of large, double rosette type blooms in vibrant colours which will really give your hanging baskets and containers that wow factor! Flowering all Summer until the first frosts in the Autumn. These stunning plants will come with easy to follow growing instructions and seasonal tips - ideal for either the beginner or experienced gardener. Plus, We guarantee that if you're not fully satisfied, just notify us within 30 days of receipt and we shall gladly provide you with a replacement or refund. 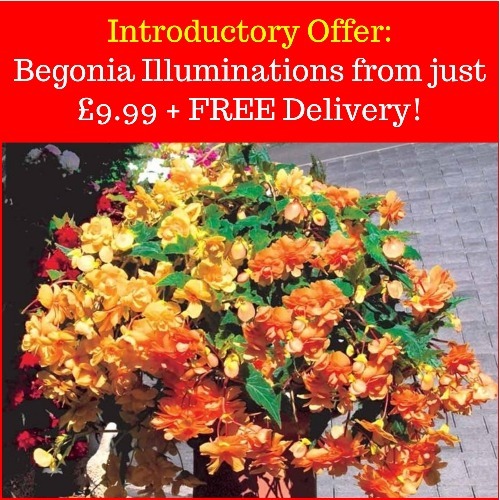 As a special introductory offer, we are offering you these spectacular Begonias in two different sizes, from the unbeatable price of £9.99 + FREE Delivery! Hurry though! Only available whilst stocks last. Christmas Promotion - 15% Off All Christmas Gifts + 15% Commission for All Publishers! With Christmas on its way, we have decided to offer all our Publishers 15% Commission when you promote our offer: 15% Off all our Christmas Gifts with code: XMAS18. 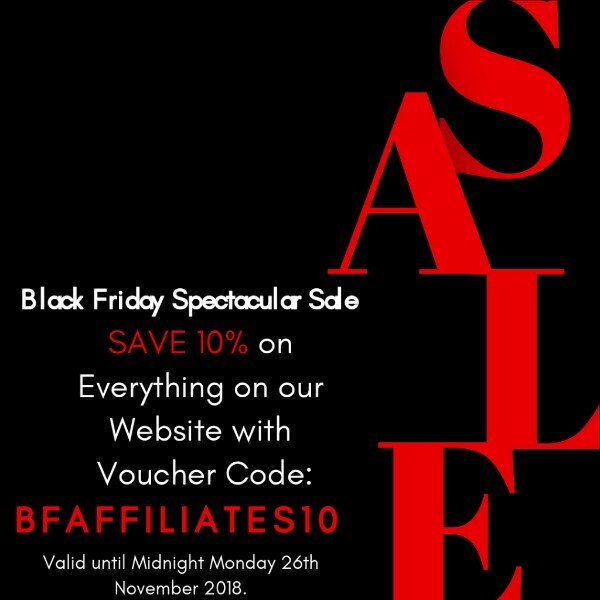 All you need to do to redeem this amazing offer is add anything from our product range to your shopping basket and enter voucher code: XMAS18 at checkout. This offer is valid from Monday 3rd December until midnight Monday 17th December 2018. Don't forget we offer FREE DELIVERY on EVERYTHING! And we also have a great commission structure offering affiliates of 15% on sales. 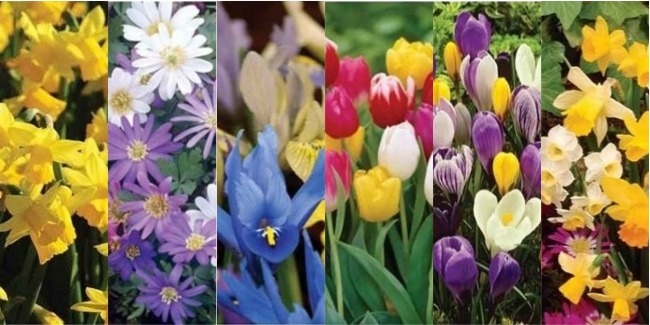 200 Spring Flowering Bulbs Collection (RRP: £54.94), Now Just £9.99 - that's a Saving of 82%! Spring Gardens can often look quite sparse between Bedding seasons. Why not add early Spring Colour and get your Summer displays off to a flying start, with this fantastic Collection of Spring Flowering Bulbs (RRP: £54.94), now at the New Lower Price of just £9.99 + FREE Delivery - that's an outstanding saving of 82%! You will receive a total of 200 Bulbs from a wonderful selection of varieties including Daffodils, Tulips, Crocus, Iris and Anemone. Also, remember that each year the displays will come back bigger, brighter and oh so beautiful - not to be missed! Hurry though! 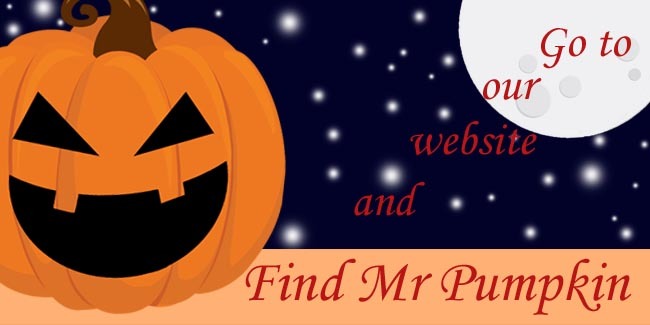 All Orders must be received by Friday 9th November 2018. Make sure your Winter is as bright and beautiful as your Summer was with 30% OFF all our Autumn Ready Plants. You will find all your favourite Winter Flowering Varieties including Pansies, Violas, Wallflowers, Primroses, Polyanthus and More! 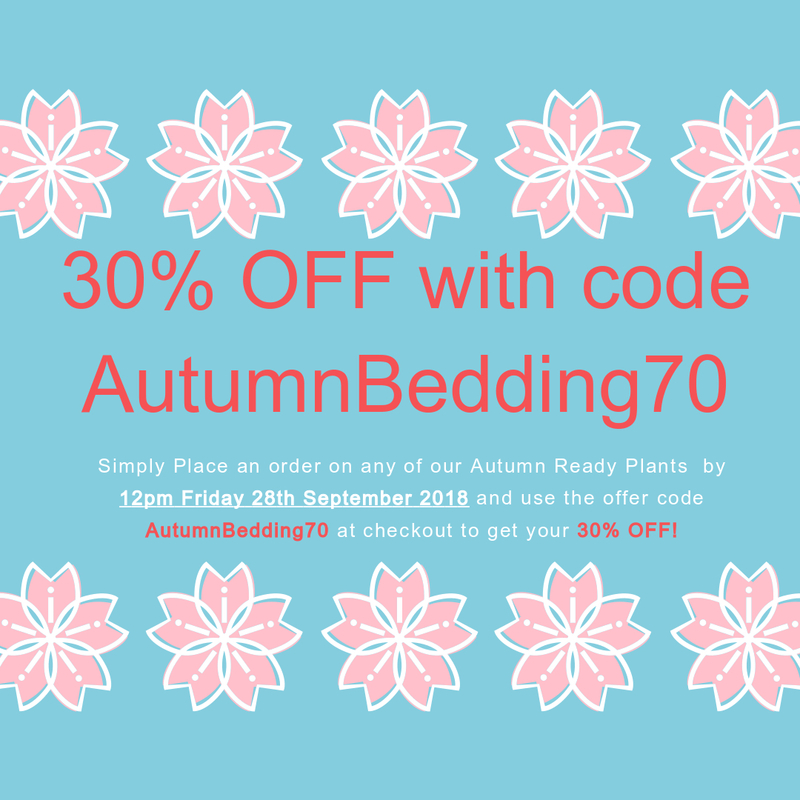 To redeem this offer simply place an order on any of our 70 Ready Plants by 12 pm Friday 28th September 2018 and use the voucher code AutumnBedding70 at checkout to get your 30% off! Don't forget we offer FREE DELIVERY on EVERYTHING! And we also have a great commission structure offering affiliates10% on sales. Spring Flowering Bulbs from just £9.99 or Double Up for just 50% more! Our Bulbs are perfect for a bright and beautiful Spring garden! Whether your looking to create stunning borders or patio pots, these Bulbs will provide a fantastic, long lasting colourful display year after year! Our value for money Bulbs start at just £9.99 or you can take advantage of our amazing"Doubling Up" Bulb Offer - get double the amount of Bulbs for just 50% more! Our Spring Flowering Bulbs will be despatched from October to the end of November. 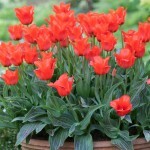 Tulip Red Riding Hood 20 Bulbs only £9.99! 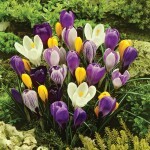 Spring Flowering Crocus Collection 50 Bulbs, only £10.99! 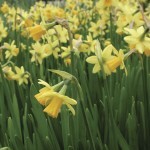 Daffodil Tete a Te 50 Bulbs only £11.99! 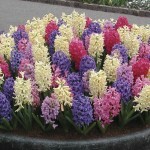 Hyacinth 10 Bulbs, only £9.99! 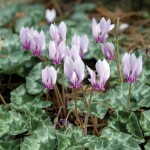 Hardy Cyclamen Neapolitanum 15 Bulbs, only £12.99! 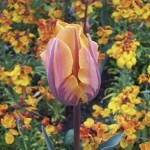 Tulip Prinses 20 Bulbs, only £10.99! Don't forget we offer FREE DELIVERY on EVERYTHING! And we also have a great commission structure offering affiliates up to 20% on sales. If we can help you with anything please do not hesitate to contact us at affiliatewindow@jerseyplantsdirect.com. 12 Mega Plants from only £9.99! Prefer plants that are easier to handle? Want quicker results? Here at Jersey Plants Direct, our experts have specially developed these amazing BIG plants in all your favourite varieties for fabulous, quick, colourful Autumn and Winter displays in all aspects of your garden! 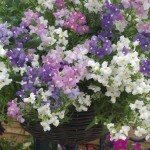 ❀Fast Mega displays with plants arriving 'in bud' or even flowering! 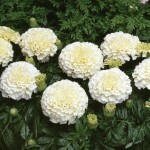 ❀Mega convenience, straight in with no need to grow on, just water! 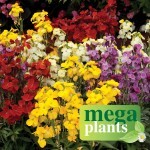 From just £9.99 for 12 Mega Plants there is no better way to brighten up your garden this Winter! Our Mega Plants are despatching until the end of October. Order yours today for guaranteed earliest despatch! 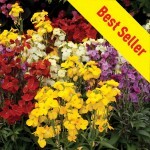 Wallflower Wizard 12 Mega Plants, only £9.99! 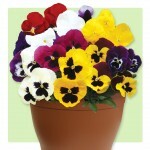 Pansy Colourburst 12 Mega Plants, only £10.99! 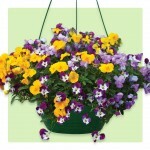 Viola Valentino 12 Mega Plants, only £10.99! 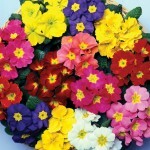 Primrose Harlequin 12 Mega Plants, only £10.99! 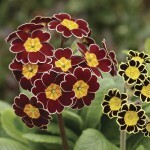 Polyanthus Gold Lace 12 Mega Plants, only £10.99! 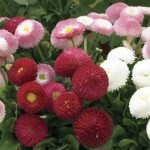 Bellis Belle 12 Mega Plants, only £10.99! 24 Super Ready Plants from only £11.99! With offers from only £11.99 for 24 Super Ready Plants, they are fantastic value for money and can be planted straight out into your garden borders, hanging baskets and containers. What's more they are quicker to establish and flower, than smaller sized Bedding Plants, leaving you with less work and more time to relax while you watch them blossom into their full Summer glory! Our Super Ready Plants are despatching from late March to the end of May. 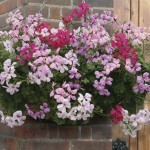 Geranium Balcony 24 Super Ready Plants, only £13.99! 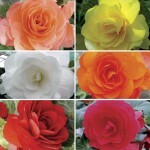 Begonia Destiny 24 Super Ready Plants, only £11.99! 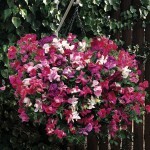 Busy Lizzie (Impatiens) Summer Waterfall 24 Super Ready Plants, only £11.99! 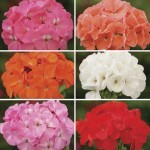 Sweet Pea Sugar and Spice 24 Super Ready Plants, only £12.99! 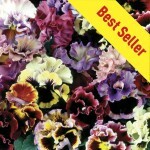 Salpiglossis Regale 24 Super Ready Plants, only £12.99! 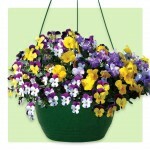 Nemesia Poetry 24 Super Ready Plants, only £12.99! Soft Fruit from just £9.99! Or Double Up for just 50% more! Imagine the delight of picking your own fruit, fresh from the garden from just £9.99 or why not Double Up for just 50% more? These plants will provide you with mouth-watering Soft Fruit each year from Summer to Autumn and are perfect for making home made jams, jellies and pies! 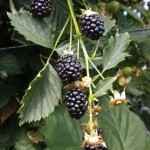 Having worked closely with a quality established British grower of Soft Fruit, we have included varieties which have been specially chosen for their tastiness, ease of growing and abundance of crop. Our Soft Fruit will be despatched from February to the end of April. Strawberries Cambridge Favourite 10 Runners, only £9.99! Blackberries Reuben 1 Plant 9cm Pot, only £9.99! 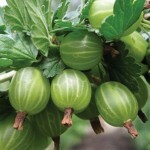 Gooseberries Invicta 3 Plants Bare Root, only £11.99! 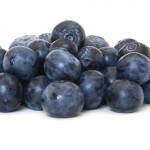 Blueberries 3 Plants 9cm Pot, only £12.99! 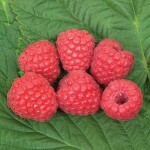 Raspberries Glen Ample 5 Plants Bare Root, only £11.99! Rhubarb Raspberry Red 3 Crowns, only £11.99! 70 Medium Plug Spring Patchwork Collection just £13.99! Create your own Colour Scheme from just £13.99! Patchwork collections are our most popular varieties of Spring Bedding Plants, with 6 different colours which have been sown separately. These Medium Plugs will be supplied to you in trays of 70 plants, where each colour will be clearly labelled giving you the opportunity to create you own uniquely designed planting scheme! These collections are fantastic value for money at just £13.99 for 50 Medium Plugs + 20 FREE and they will allow you to create unique, high quality displays for your borders, containers and hanging baskets in the perfect colour combination of your choice! Our Patchwork Medium Plugs are despatching from late March to mid May. Order by the end of January to receive your plants by mid April! If we can help you with anything please do not hesitate to contact me at tracy@fpnl.net. Spring Ready Plants from just £9.99! Our Ready Plants can be grown on or planted out at your own convenience and from only £9.99 for 30 Plants + 15 FREE that's superb value too! 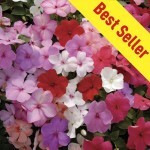 Choose from a wide variety of Geraniums, Petunias, Begonias,Busy Lizzies and many more! Our Ready Plants will be despatched from late March to the end of May. Order by end of January to receive your plants by mid April! 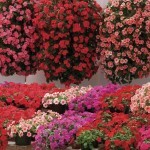 Geranium Parade 30 Ready Plants + 15 FREE, only £9.99! 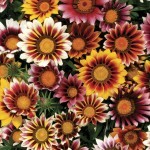 Gazania Firecracker 50 Ready Plants + 20 FREE, only £13.99! Only 1 Week Left to Order Your Christmas Gifts from just £10.99 + FREE Delivery! Our selection of beautiful Floral Plants and Festive Bouquets will add a splash of colour and really brighten up the home this Christmas! Why not send a lovely Floral Christmas Gift to your family and friends with a personailsed message card from just £10.99 + FREE Delivery! Hurry though! Your orders must be received by Noon on Thursday 19th December! 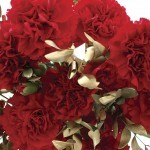 Red & Gold Carnations 15 Stems, just £14.99! 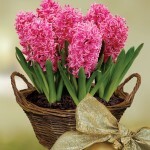 Scented Indoor Hyacinth 7 Bulbs in a Rustic Basket, just £16.99! 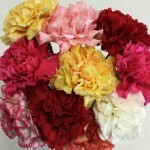 Mixed Christmas Carnations 10 Stems, just £10.99! 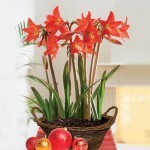 Multi-Flowering Amaryllis in a Rustic Basket, just £18.99! Don't forget we offer FREE DELIVERY on EVERYTHING! And we also have a great tiered commission structure offering our Affiliates up to 20% on sales. 70% Extra FREE on our Spring Plugs! 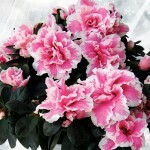 Massive savings on fantastic Spring Plug Plants - just 9p a plug! Save money by growing on your Spring Plug Plants at home. They are ideal for the gardener who has a greenhouse or conservatory in which to grow them on until they are ready to plant out in the garden. What's more, our Spring Plugs are fantastic value for money from just £14.99 for 100 plug Plants + 70% extra FREE - that's just 9p a plug! Our Plug Plants are despatching from late February to the end of April. Order by the end of December to receive your plants by mid March! 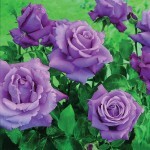 Massive Savings and 3 for 2 Offers on our Beautiful Roses! From only £8.99, our luxurious Roses will look fabulous in any garden! 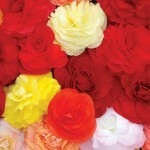 Choose from Orange, Yellow, Purple, traditional Red or Scented Roses, our extensive range is not to be missed! You can save £££'s on our Rose Collections with varieties to suit climbing, patio or small gardens! Our Roses are despatching until the end of November. Climbing Rose Libretto 1 Bare Root, only £8.99! 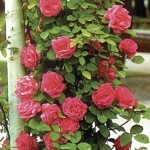 Climbing Rose Pink Heidelberg 1 Plant Bare Root, only £8.99! 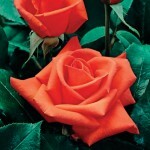 Hybrid Tea Rose Orange Perfume 1 Plant Bare Root, only £8.99! 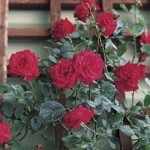 Patio Rose Red 1 Plant Bare Root, only £8.99! 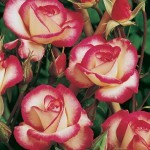 Hybrid Tea Rose Waltztime 1 Bare Root Plant, only £8.99! 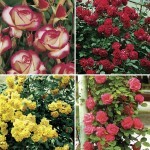 Climbing Roses Scented Collection 4 Bare Root Roses, only £17.99! Despatching Now - 2 Perfect Pre-Planted Containers just £9.99 each! If you just don't have the time or facilities you needn't miss out on glorious Winter colour! Our Range of Pre-Planted Containers are perfect for providing instant colour to your garden, patio or conservatory this Winter! Each Container comes straight to you pre-planted - all you have to do is position them and water - Much Easier! Buy 1 for just £12.99 each or why not buy 2 for £19.98? That's just £9.99 per basket or container! Our Pre-Planted Containers will be despatched within 10 days of receipt of order! 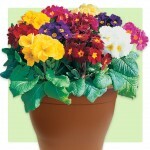 Polyanthus High Seas 2 Pre-Planted Containers only £19.98! 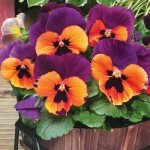 Pansy Colourburst 2 Pre-Planted Containers, only £19.98! 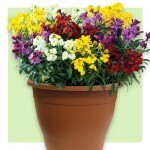 Wallflower Wizard 2 Pre-Planted Containers only £19.98! 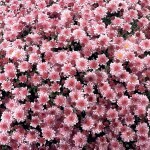 Hardy Mums Pink 2 Pre-Planted Containers, only £19.98! 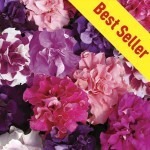 Top 10 Best Sellers from Jersey Plants Direct! This week we bring you the top 10 best selling products from Jersey Plants Direct which includes a range of beautiful Autumn Bedding plants and Pre-planted Hanging Baskets! Our Ready Plants are despatching until the end of October. 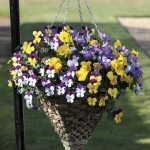 Our Pre-Planted Hanging Baskets will be despatched throughout October.